Yep, you read that title correctly. We are tough, but until a few years ago, we never would have described ourselves as “walking off a heart attack” tough. That’s right, Grant had a heart attack and we kept on going! Of course, we had no idea that’s what was going on at the time, which makes this event all the more interesting! On July 20, 2015, our lives changed and we had no idea. We were nearing the end of a month-long trip through Eastern Europe. Our trip had already taken us through Czech Republic, Poland, Hungary and Slovenia. We had just a couple more days in Croatia before heading home. 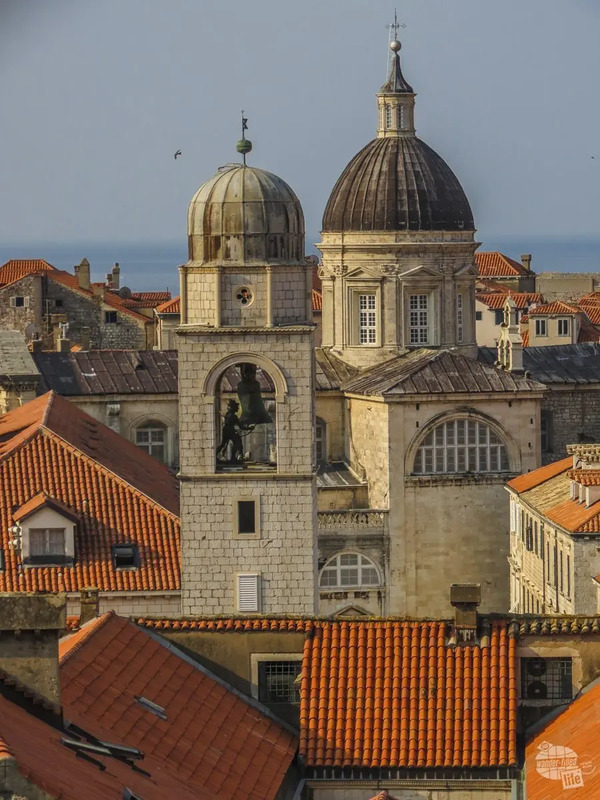 You might recognize the streets of Dubrovnik and its cathedral from the show “Game of Thrones.” Dubrovnik doubles as Kings Landing in the series. We started the day in Split, waking up early to catch the ferry to Dubrovnik. On the ferry ride, Grant and I both complained of not feeling well. We blamed motion sickness, little to no air circulation and being tired from a month of traveling. Upon our arrival in Dubrovnik, we caught a bus to Old Town. To our delight, we felt almost immediately better after getting off the ferry. We enjoyed lunch at a small cafe and began taking in the history and uniqueness of Dubrovnik. After lunch, we did what we almost always do and walked through town towards our hotel. As we started a small uphill climb, Grant mentioned he didn’t feel well again and was having some trouble breathing. We kept going for another minute or two, until Grant had to sit and rest. This is VERY unlike him. Grant can typically push through just about anything. It was hot, so I nervously left him sitting and ran back a bit to get a couple bottles of water. We figured we were both probably a bit dehydrated. As I very impatiently waited in line to get some water, I wondered what was going on. I really had no idea what it could be at this point. I just hoped that my husband would be conscious when I returned to him. Thankfully, he was! This is the spot where Grant “went down” during his heart attack. Thankfully, he just had to stop to rest; he didn’t actually collapse. After a few minutes of rest and hydration, Grant felt better and we continued on. He was moving slower than normal, but seemed to be ok. He probably wasn’t telling me exactly how he felt. In fact, he probably wasn’t even admitting to himself how he felt. It wasn’t long before we realized that the “road” to our hotel was actually just a really long staircase uphill! We started up slowly, with Grant having to stop and rest sometimes every couple of steps. While Grant may not be in the best shape in the world, this was very out of the ordinary for him. We were both concerned, but he was able to keep moving, so we did… just very slowly. The moment I knew it was really bad was when Grant actually took me up on my offer to carry his backpack. Yep… Grant took off his 20-25 pound pack and let me carry both mine and his. I offered because I knew I could and would carry it if that’s what I needed to do. I was not actually expecting him to agree, because that just isn’t in Grant’s nature. By this point, we knew we had made a mistake by walking and not getting a cab. Unfortunately, we were on a staircase “road,” which meant getting a cab at that point was not an option. So, we continued to “hobble” up the stairs. Grant was stopping to rest because he could barely breathe. I was stopping to rest because I was carrying nearly 50 pounds worth of backpacks. 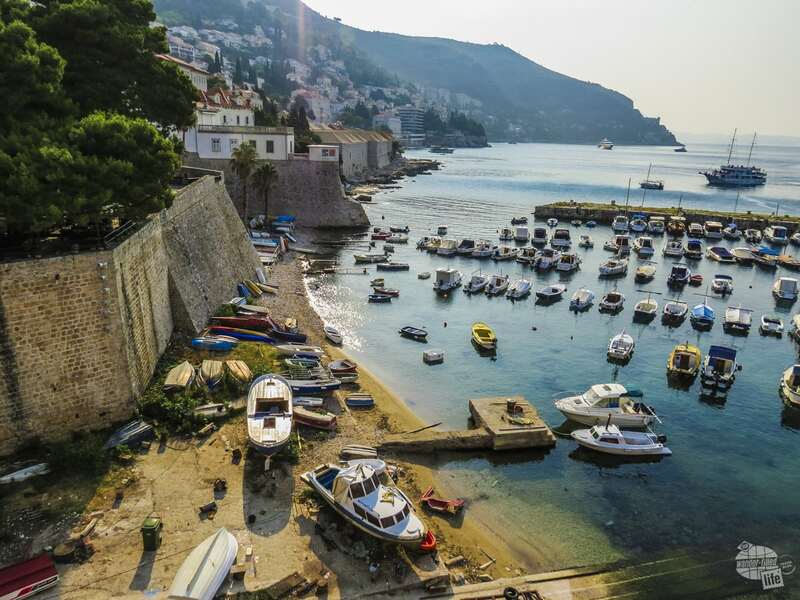 Despite the fact that it took WAY longer than it should have, we finally made it to our hotel, Peric Rooms Dubrovnik (We get a commission if you use the link to book… Thanks!). I can only imagine what the owner thought as we limped into the courtyard! Thankfully, he was very welcoming and gracious, getting us both a glass of water almost immediately. We rested, filled out the required paperwork, and rejoiced when we finally made it to our room! Needless to say, we spent the rest of the afternoon and evening hanging out at the hotel. Thankfully, we had a fabulous view of the sea and Lokrum Island, just off the coast. We truly enjoyed our room here, especially the balcony and the view! 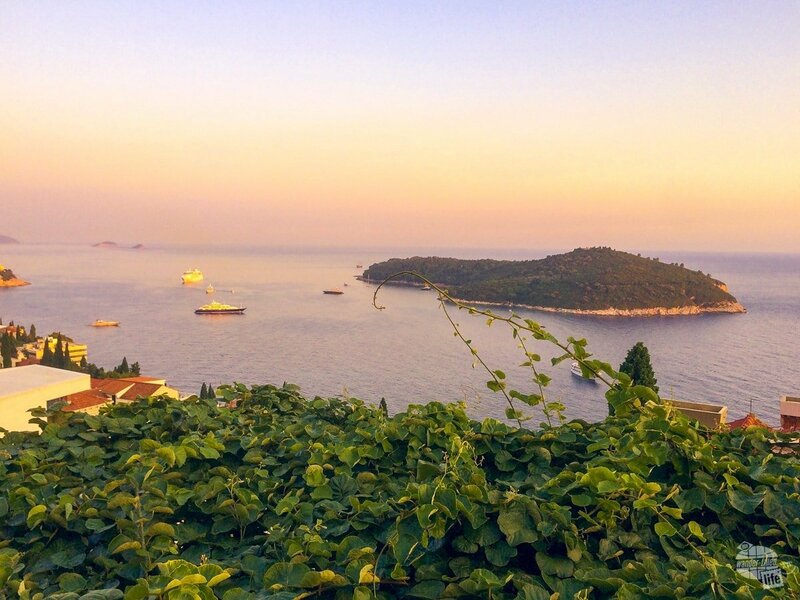 The view from our room in Dubrovnik was outstanding! Of course, we needed food and, more importantly, drinks. So, I took off on my own to find the nearest grocery store. I can handle myself just fine, but I really don’t like exploring unfamiliar places on my own. Especially when my husband is suffering through some sort of currently unidentified medical event. I managed to find the grocery and stock up on a few things. We spent the rest of the day resting, snacking and enjoying the views! It really wasn’t a bad first day in Dubrovnik, despite the issues. While I was out buying provisions, Grant looked up his symptoms. Of course, he found it could be anything from indigestion to dehydration to a heart attack. Based on the heat, humidity and timing, we really felt like this was dehydration or indigestion. 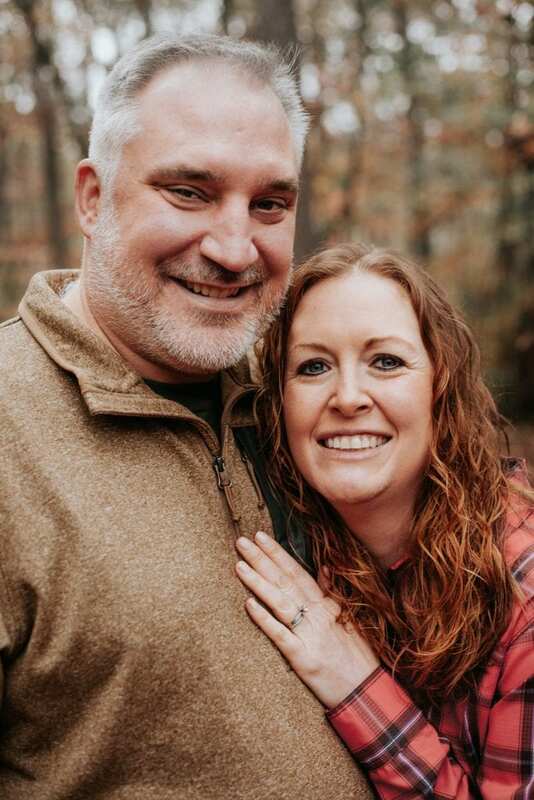 He also didn’t have any of the usual additional symptoms that would be more typical of a heart attack, such as radial arm pain, back pain or jaw pain. 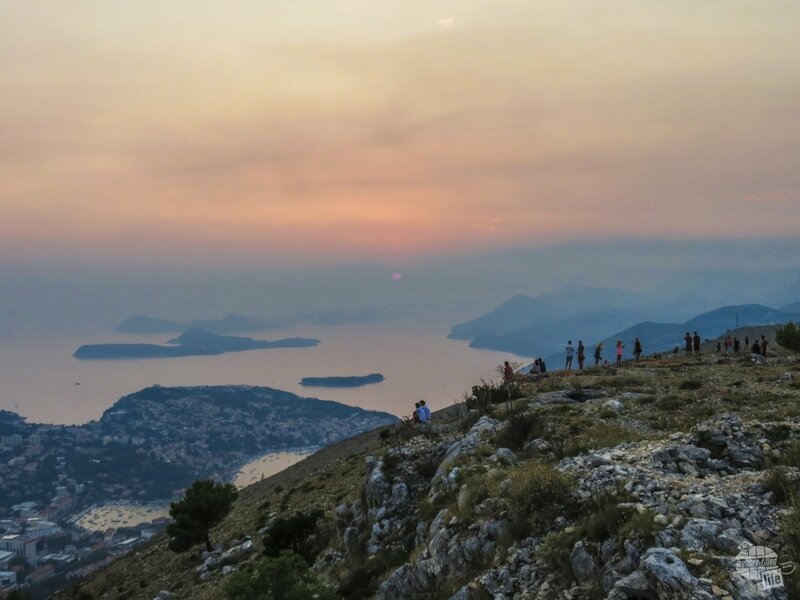 The view of Dubrovnik from Mt. Srd at sunset. Note the smokey haze from the nearby forest fires. We later learned that there was a forest fire nearby, so that too led us to dehydration and we knew lower-quality air would cause breathing problems. Grant was in a house fire when he was in college and is a bit susceptible to smoke ever since. We did briefly consider trying to find a doctor. But, Grant was feeling better after resting in the air conditioning for a while, so we decided it wasn’t necessary. 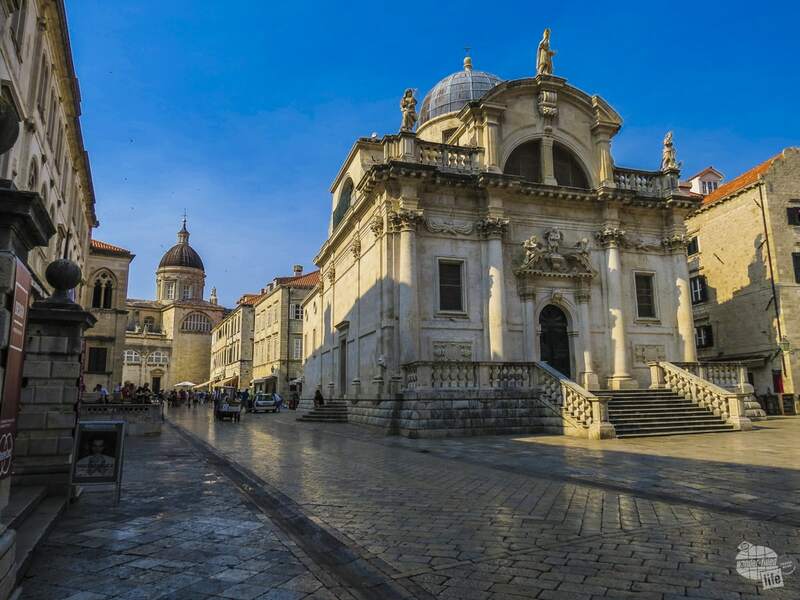 We even went out and about exploring Dubrovnik the following day. You can read more about our day in Dubrovnik here. After two nights in Dubrovnik, we began the journey home. We had one travel day to get us back to Prague and another back to Atlanta. 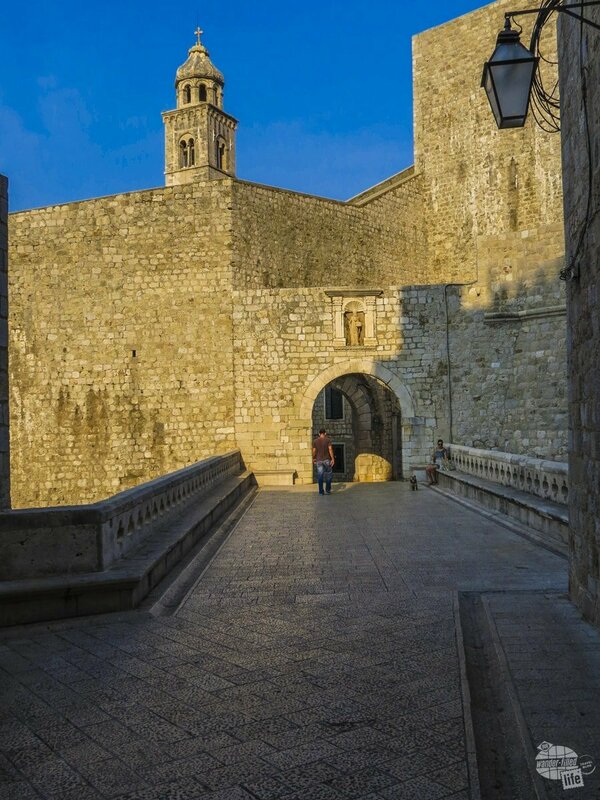 Walking along the city wall is a must for excellent views of the city like this. Grant felt ok during all of this and was able to truck right along without any difficulty. Back at home, we were eager to get back into our normal routine. We got up early and went out for our usual five mile walk. Grant did this without too many problems, but was still feeling some chest pressure, so we decided to call the doctor. Of course, at the word “chest” they tell you to just go straight to the emergency room. It didn’t feel too bad, so we stopped for lunch at Chick-Fil-A before heading to the hospital. I mean… we were out of the country for a month; we missed our Chick-Fil-A! Once at the hospital, Grant said “chest pressure” again and back he went! You never really want to be the person that gets the immediate treatment at the Emergency Room, because that’s usually bad. But, it was nice to not have to wait. The next few hours just flew by! Before we knew it, Grant was in the cardiac catheterization lab and I was waiting not knowing what was going on. 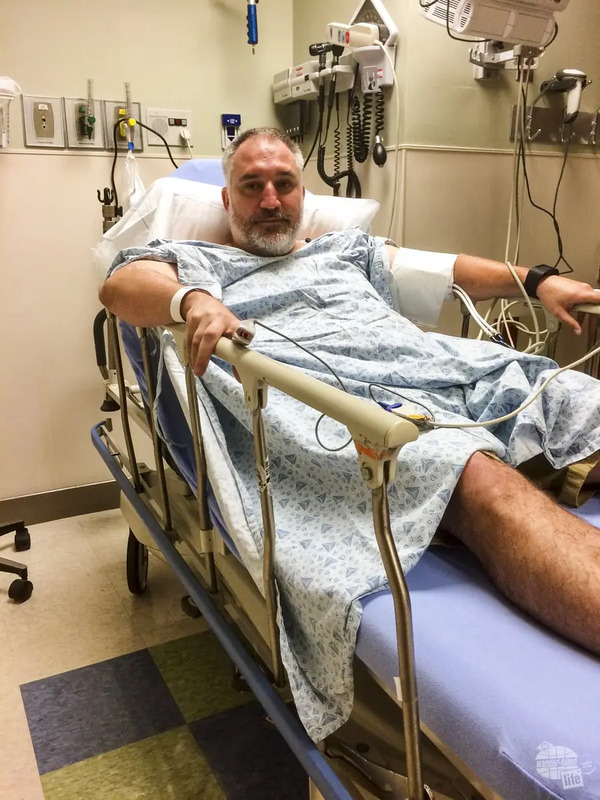 Grant in the hospital following his heart attack. He had a stent put in his right coronary artery. I spent roughly an hour in the waiting room, not knowing enough to even know if I should be scared. My friends asked why I didn’t call them sooner. Honestly, I didn’t know what to tell them. The doctors discovered that one of Grant’s arteries was 100% blocked. Thankfully, the other two were completely clear! Everything went well in the cath lab and Grant was back in a room in no time. Then it was time to call family and friends. Those were definitely not fun or easy phone calls. At least by that point we knew that Grant would be ok! 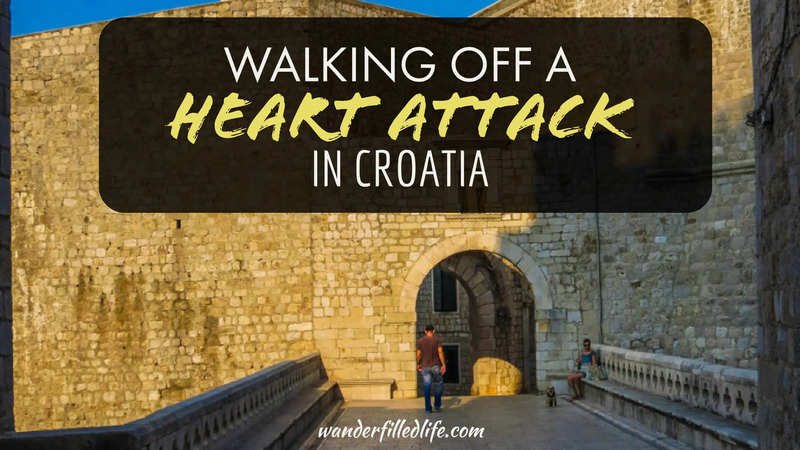 I know it may sound crazy, but once we found out Grant had a heart attack, we actually were really glad that we didn’t go to the doctor in Croatia. I’m sure that the medical technology in Croatia is ok, but I doubt that it is as good as it is in the US. Grant might have ended up having open heart surgery. I’m certain we wouldn’t have been on a flight home “on time.” I don’t even want to think about how much it would have cost us since we didn’t have travel insurance. Even at 7:30 in the morning, you can tell how hot and hazy (from the smoke) Dubrovnik was. As it was, Grant was home within about 24 hours of us walking into the ER. In the cath lab, the doctors cleared the blocked artery and inserted a stint through the femoral artery. This was actually the “complicated way;” entering through a wrist vein was the preferred method, but Grant’s wrists are too thin and boney. 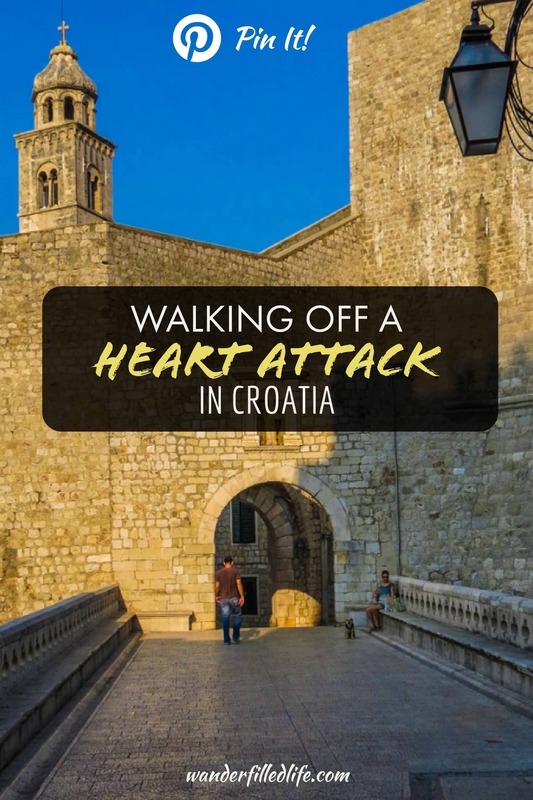 Grant had the heart attack on a Monday in Croatia. We went to the doctor on Friday at home near Atlanta. He was at work on the following Monday. He was moving slowly, but he was at work. And we soon learned that most of the “moving slowly” was due to some meds that weren’t yet optimized. Life really didn’t change too much for us, but there have been some adjustments in the last couple of years. The biggest change is that Grant is now taking several medications every day. I know this isn’t too unusual for someone in their 40s, but it still isn’t fun. In terms of everyday life, the biggest change, other than the medication, is not eating red meat. Grant is a huge red meat lover, so that has been quite an adjustment! Ground turkey, chicken and pork are a much larger part of our diet now. Grant now eats a lot more turkey, chicken and pork than red meat. At work, Grant switched from teaching drama to literature. This actually was something that he planned to do even before we left for the Eastern Europe trip. But, realistically, we aren’t sure it would have happened without the heart attack. Teaching literature is much less time-consuming since there are no after school rehearsals. This allows us more time to work out and stay healthy. Less stress is a good thing too! Most importantly, by having more time since we are no longer spending several hours at rehearsal most days, we were able to start this blog! Previously, we did some blogging on TravelPod (which no longer exists) for our family and friends. 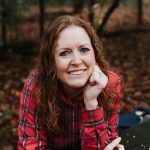 Starting our own site and really getting serious about it has been a great way to combine our loves for teaching, traveling and writing. We love getting out on the trails. 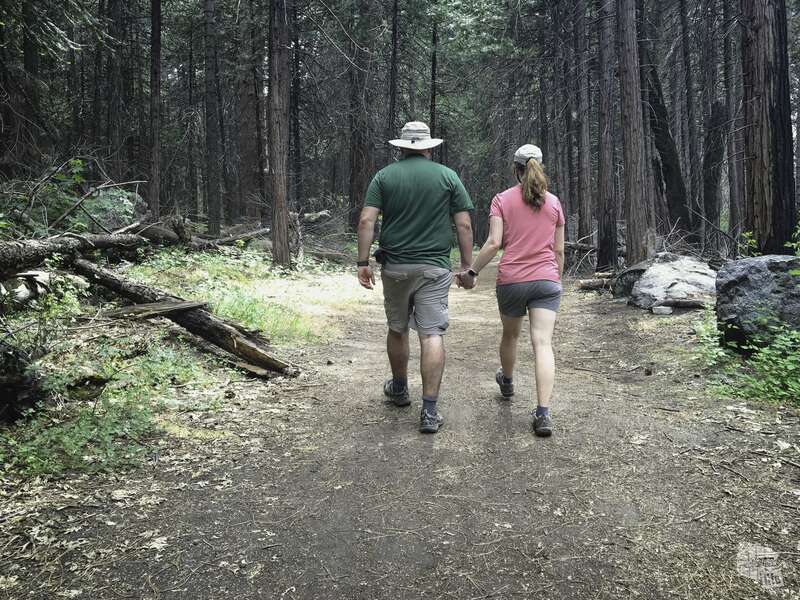 Following the heart attack, we are much more likely to choose a relatively flat and easy hike than a strenuous one. In terms of travel, we definitely wanted to stay within the country for the first year or so until we really knew how/if this would affect us on the road. Thankfully, we haven’t had any issues while traveling. 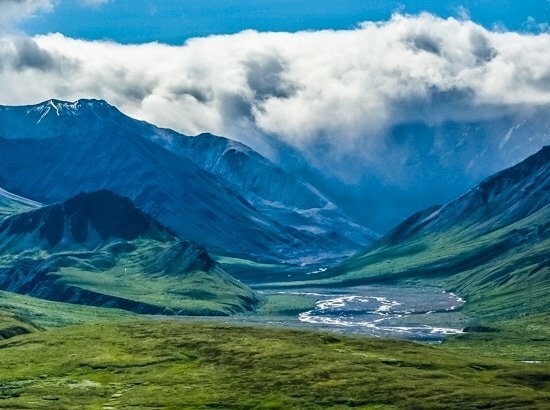 Still, we are much more conservative about where we hike and how strenuous of a hike we are willing to do. The biggest lesson learned from all of this is how important travel insurance is! In the past, we have purchased insurance for flights and cruises, but never to cover us for a full overseas trip. We will NEVER take that risk again. Not only because Grant is now more at risk for another heart attack, but because we don’t want to be afraid to go to the doctor if we really feel it is necessary. Grant and Bonnie at the Trevi Fountain. We definitely made a point to purchase the optional travel insurance before heading off on our Italian field trip! It has now been two years and we haven’t had the need for individual travel insurance yet. But, when we do take our next overseas trip, we will be doing our research and purchasing insurance for sure! And, of course, we will share our travel insurance findings with you. In the meantime, take our advice and buy travel insurance if you are going out of the county! There are several companies with varying costs and benefits. While we can’t give a specific recommendation at this time, we certainly recommend travel insurance of some sort. While this was a big deal, we are very thankful that it wasn’t more serious that it was. Truly, the thought of having open heart surgery in a hospital in Croatia is terrifying! But, we haven’t really let it slow us down. Since 2015, we have traveled all over the US, gone on a cruise and taken a school trip to Italy. We just have to make sure we have enough medication for the entire trip! Grant’s pill box. The removable days make it easy to carry a small amount when we are only traveling for a day or two. 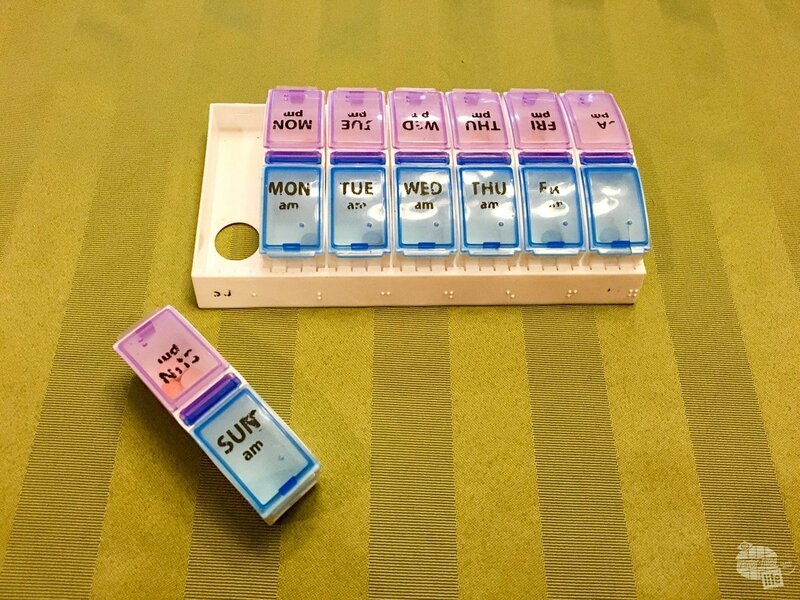 This pill organizer (Affiliate link… We get a commission if you use this link to make purchases… Thanks!) makes it easy for Grant to organize all the medication he needs for the week. And we love that we can take just one or two days with us when necessary. We do have a few more considerations when making travel plans now, but, thankfully, it hasn’t affected our travel style! If anything, our perseverance on the day of the heart attack has stuck with us. When things get tough, we take it slow. And we help each other. We are not afraid to change our plans if that is what is best for us. But we don’t give up just because it’s tough. We’ve always been kind of stubborn like that.